PKR president Anwar Ibrahim says rising jingoism and xenophobia are posing a serious threat to international peace and security. “The resurgence of ultra-nationalism is a global phenomenon. It is a precursor to fear and a present danger to peace and security. “Extreme identity politics and polemics contribute to the conditions in which the seductive call to violence festers. We must reject it,” he said in his valedictory address on Thursday evening at the Raisina Dialogue geopolitical conference in New Delhi, India. The Merriam-Webster dictionary defines jingoism as extreme chauvinism or nationalism marked especially by a belligerent foreign policy, while the definition of xenophobia is fear and hatred of strangers or foreigners or of anything that is strange or foreign. The Port Dickson MP in his speech touched upon a range of issues, including nationalism in Europe, communalism in India, wars and conflict in the Arab region, economic inequalities, and Malaysian politics following last year’s general election. “We meet at a time of rising nationalism around the globe fuelled by hydra-headed fear. The greatest fear is the fear of the other, of the motives, intentions and aspirations of people deemed to be different,” noted Anwar. He said what had been described as “nativist” economics in America was startling, and in Europe they called it nationalism. “With the doubling down of its semantic cousins such as ‘xenophobia’ or ‘ultra-nationalism’ or ‘jingoism,’ the anti-immigration discourse has morphed into toxic mutations of domestic racism, religious animosity and communal hatred with chronic race-baiting and incitement to violence becoming an increasingly common occurrence,” he added. Anwar also criticised US-led wars for causing widespread destruction. “We have endured misguided wars in Iraq and Libya, a never-ending campaign in Afghanistan, the consequences of which are wreaking havoc across this region and the world,” he said. 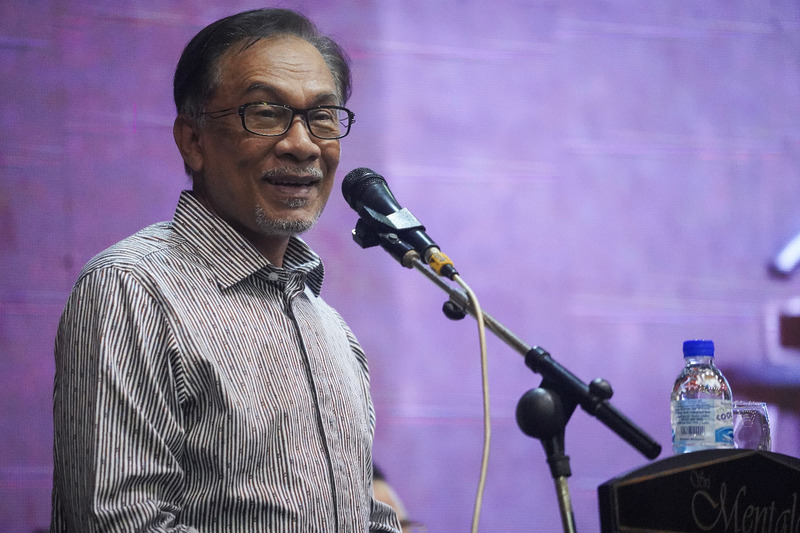 Talking about Malaysia’s new political direction, Anwar said the institutional reforms being undertaken “are primed to take Malaysia on a new path of greater constitutional democracy, rule of law and judicial independence”. He said Malaysia had entered a new era under Pakatan Harapan. “The peaceful transition of power was nothing short of remarkable. And I strongly believe that one of the most important reasons for this exceptional phenomenon is our very firm and consistent policy on communal and race relations. The theme of this year’s Raisina Dialogue, organised by the Observer Research Foundation think-tank in collaboration with India’s Ministry of External Affairs, was ‘A World Re-order: New Geometrics, Fluid Partnerships, Uncertain Outcomes’.